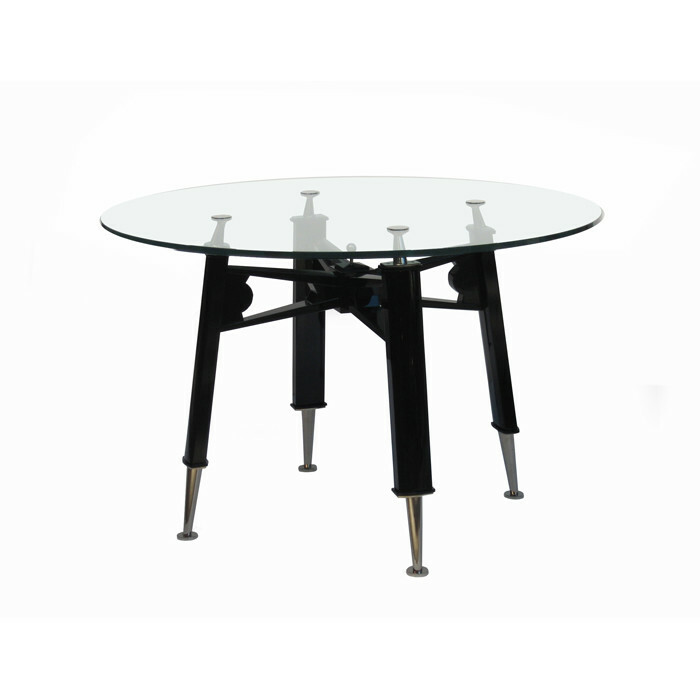 An Art Moderne center table Designed by Maxime Old. Black lacquer with nickeled bronze details and a glass top. Dimensions: H:29¾ Diameter: 46 Inches.